Nowadays community managers have become a new need in our world with the rise of Social Media platforms. If you have a business today, but have no social media presence you are more unlikely to succeed unless you have a well known history of good service and quality behind you. 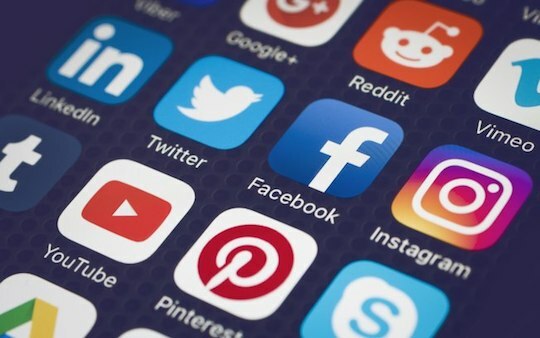 Social Media platforms like Instagram, Facebook, Twitter, LinkedIn and others are all vital for business connections and to reach your current and potential customers. They are the main way to engage with the society and even test if a product will work or not. First and foremost in order to make a good use of social media, you need to know who will be reading you on the other side of the screen. Age group, gender, social situation, country, language, etc. Who is it that you are aiming at? Who do you want to reach? Who could be the potential users of your product or service? This is truly the starting point. You cannot go forward with any of the tips mentioned bellow until you have this defined. The type of audience you want to reach will determine everything else, your visuals, the language you use and the social media platform you choose. For young people you will need to be creating consistent engaging, interactive, dynamic and relevant content; while for older generations, they are looking for a language that communicates trust and consistency, and when it comes to design, they might be attracted by a more sober option. Content quality involves two areas, and sometimes people make the mistake of believing it just about one or the other. Here were are talking about both, quality of content and design. Quality of content: it involves what you are communicating. The photos and videos you use, grammar (this is incredibly important even though people don’t talk about it much), creative campaigns and the building of your social media page. Content that inspires people and lets them know that what you offer is something unique and useful. Quality of design: To be more specific, this would refer to technical aspects like spacing in your designs, correct size of files so it looks the way it should when posted. Correct resolution MATTERS, you do not want to upload a pixelated picture that clearly shows you did not pay attention to details. Once you have created good quality content, it is time for you to show it to the world. Even though social media can be spontaneous at times, a Social media Schedule is extremely important if you want to be effective. Plan not only in an informative aspect but in a visual aspect what you want to post and when. This will help you keep your audience informed but not overwhelmed, and it will save you from the opposite, which is your social media platform having little or no content of interest. You could create countdowns for events, launchings, promos, and even introduce your staff online. Whatever is important for you as a company, is important for your customers. Don’t forget that people also ask questions either through comments or private messages. Make sure your reply time is decent, this shows people you care, it is the new way of doing customer service. Planning your social media posts will also give way for you to create campaigns, in which you create fun and diverse ways of creating expectation towards a new product, service, event or initiative. Not all social media content needs to be created by a professional. Nowadays social media platforms like Instagram, have created their own photo and video editing tools that allow anyone to create fun content anywhere. You can add text, mark, try some stop motion or slow motion effects, and you can even create albums. You also have the option of adding links to pages or other apps and post in different platforms simultaneously. This allows for all your social media platforms (each with a different variety of customers) to connect and it improves the possibility of getting more followers. You can also create polls online in a fun and simple way that will help you collect valuable information about how a product can be received by the people. In general, social media allows not only a company to connect with customers but to create valuable connections with other companies! So this tool is very valuable and you want to make sure you use it right! Tell us! What other tip do you have for community managers?